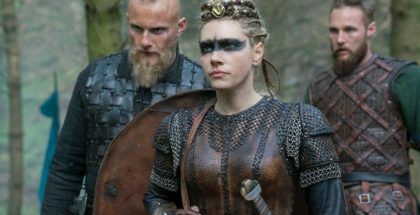 Breaking Point feels like a fitting title for Episode 10 of Vikings Season 3 – after all, we just saw the Norsemen get their hairy asses handed to them on a French plate. It’s no surprise, then, that our troops are far from there usual sprightly, united selves. 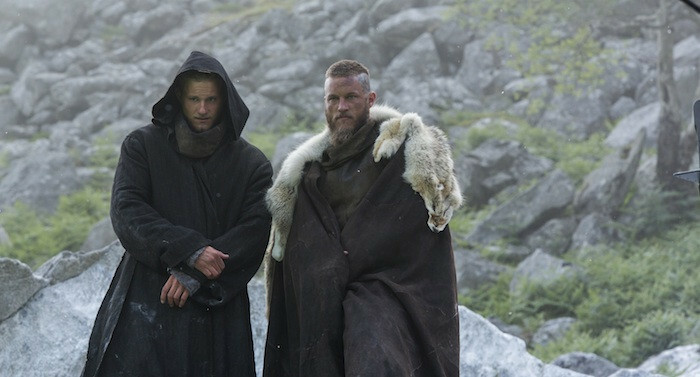 Floki, who had a near breakdown in the fiery failure of his gods-backed plan, has given the reins back to Ragnar, who, in turn, is hardly at his best. The transformation is most obvious when he gives a speech to end a spate of bickering over what the vikings should do next. “I’m the king!” he yells at them. “I make the decision. Not you. Or you.” What starts as an assertion of superiority, though, descends into a spluttering cough, as his wounds take over. This seemingly weak figure couldn’t be more different from the confident, charismatic leader who swept his troops to Paris a few episodes ago. Even in Kattegat, which has often felt irrelevant this season, Princess Aslaug is doing a better job at ruling: bickering among her ranks about a Christian missionary is handled with a burning sense of authority. 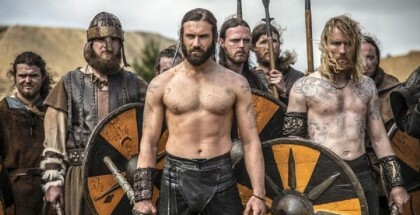 When another assault on Paris does happen, meanwhile, it’s telling that it is led by Lagertha rather than her ex-husband – and that Rollo is the one who intimidates the French Christians the most. (“If you have any feelings for me, Odo,” says their fiery princess, “you will bring me his head.”) Ragnar, on the other hand, is nowhere to be seen on the battlefield. 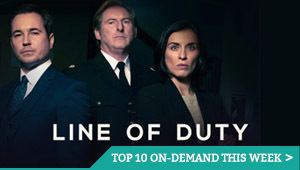 Deciding to attack the capital once more could easily be a pointless retread of previous events; Episode 10, in that sense, sums up the aimlessness that has plagued the whole of this often whelming run. But after the last skirmish, which rivalled Game of Thrones, this secondary invasion is a more streamlined affair. A fantastic female-driven sequence of nocturnal stealth sets a notably different pace – one of Viking’s strengths remains its understanding of how to stage action – while there is no time for nonsense with Kalf. Director Ken Girotti (who also helmed Episode 4 of Netflix’s Daredevil, not to mention The Sacrifice, one of Vikings’ best episodes) makes up for the small scale with bigger sachets of fake blood; last week may have been the largest set piece in the show’s history, but this is certainly the goriest. The most pressing conflict, though, is internal. Not Lothbrok vs Loki, but Ragnar vs himself. Season 3 has struggled to find a direction – Paris? 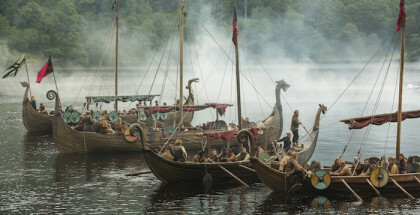 Lagertha’s uprising? Ecbert’s alliance? – but this penultimate episode suggests that perhaps the overall arc is actually Ragnar’s own struggle with the role of being a king, whether that’s navigating truces, organising raids or, in the case of Athelstan, dealing with the loss of friends. Could Season 4 see the show continue without him? It’s hard to imagine, but Episode 9 leaves a surprising question: what if it’s not the group that has reached Breaking Point, but him? 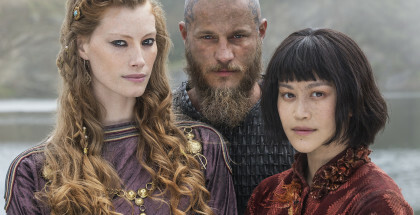 Vikings is available to stream exclusively on Amazon Prime Video as part of a £5.99 monthly subscription – or, if you would also like unlimited UK delivery and 350,000 eBooks available to borrow, as part of a £79 annual Amazon Prime membership.